Who can open a Tony Luke’s? 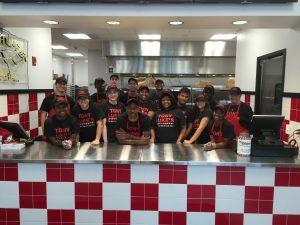 Tony Luke’s currently offers license opportunities to qualified operators with QSR (quick service restaurant) or fast casual experience. We look for someone who can live and operate by Tony Luke’s core values: honesty, maintain a positive attitude, teach and motivate, live with passion and loyalty. Where can I open a Tony Luke’s? Development areas are available globally! Tony Luke’s versatility has allowed stores to be successful in sporting venues, malls, stand alone stores, hotels and more. Tony Luke’s licenses currently exist in Pennsylvania, New Jersey, Delaware, Maryland and overseas in Bahrain. Why should I open a Tony Luke’s? In a city crowded with sandwich shops and the birthplace of the cheesesteak, Tony Luke’s is a standout and Philadelphian favorite. With almost too many local, regional and national awards to mention – it’s no joke that Tony Luke’s takes sandwiches seriously. Tony Luke’s appeal to all demographics, national and global distribution and recognition, low cost conversion and the use of ‘farm-to-family’ ingredients makes it one of the best restaurant license opportunities in the industry. An iconic owner and face behind the brand, Tony Luke Jr., takes Tony Luke’s from a humble sandwich shop in South Philly to a nationally recognized restaurant chain. 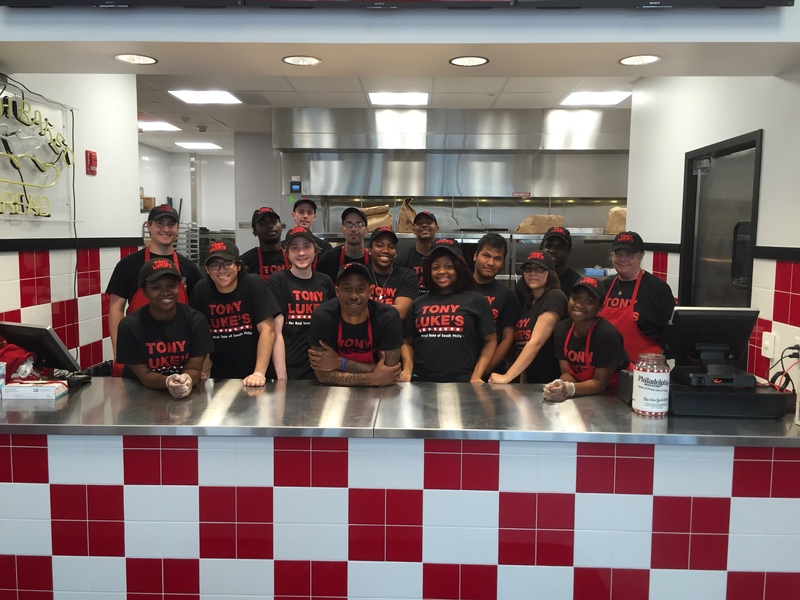 Interested in joining the Tony Luke’s family? Fill out the form below and we will get back to you with more information about our license opportunities! Already a Licensee? Access the Dashboard here. 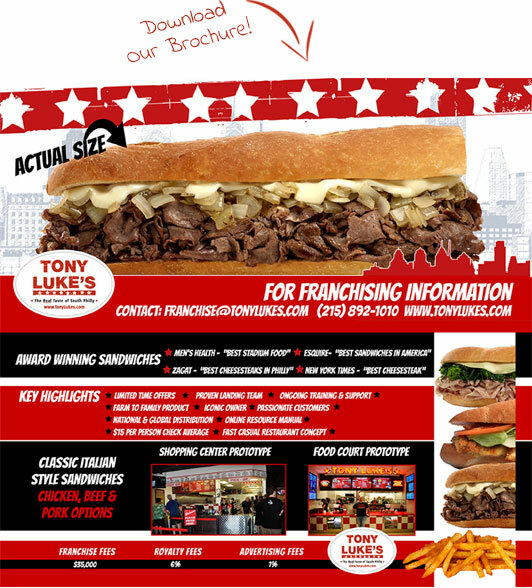 None of the communications made through this web page should be construed as an offer to sell any Tony Luke’s licenses in, nor is any such communication directed to, the residents of any jurisdiction requiring registration of the license before it is offered and sold in that jurisdiction. No Tony Luke’s licenses will be sold to any resident of such jurisdiction until the offering has been exempted from the requirements of, or duly registered in and declared effective by, such jurisdiction and the required License Disclosure Document (if any) has been delivered to the prospective licensee before the sale in compliance with applicable law. If you have any questions concerning the registration status of licenses in your jurisdiction, please contact our license development team.